One of my deepest secrets, that you will probably find out after spending a few hours with me, is that I love Bravo TV. I’ve developed a dependency on the reality-TV channel that I just can’t really rationalize. There is no better way for me to unwind, no better massage for my brain. So when the popular US network announced it would be doing a “Real Housewives of Washington DC” season, I was initially very excited about the crew coming to my town. Paul Wharton is the perfect dinner guest- and much more. Image Credit: Paul Wharton. But that emotion turned with all the rumors of what a hard time Bravo was having finding anyone in this quite, political, let’s-not-be-too-flashy-city to be on the show, and then of course the whole over the top, too tacky to even recap Salahi controversy. The premiere of the show didn’t do much to rekindle any excitement, and I find most of the cast too dry to dish about. While it is entertaining to have the bizarre madness of Tareq and Michaela Salahi on full display for the world to see, if anybody actually shines in this show it is without a doubt the “Sixth DC Housewife,” Mr. Paul Wharton. And somewhere in this he is. Paul’s vibrant personality and genuine respect for his friendships is perhaps one of the few “real” qualities of the show. It makes you connect to Wharton’s character because you watch him cultivate actual relationships with these “housewives” that they don’t have with each other, but have with Paul. A few episodes in, my husband and I noticed our Capitol Hill neighborhood in Washington, DC randomly flashing across our TV screens, images of the building across the street from our home shooting across Bravo TV. Paul Wharton was our neighbor! We assured Paul we wouldn’t. And he assured us the same. Dinner date on! That night Paul brought a friend with him and we all sat around our table eating. The authenticity of Paul that you see on TV is tangible when you meet him in person. We insisted he sat at the head of the table (it just felt weird for anyone else to that night), he pretended to like our cat (Paul is definitely a dog lover), complimented my decorating, and ate everything he was served. Paul was open, loving but most importantly and surprisingly, he was nice. So nice, in fact, that he sat through my entire analysis of the Housewives series! What I have found with every season of this show is that there is a character who manages to come across and connect with the audience because they actually have a sincere personality, and their character isn’t all scripted. I don’t know how much of it the producers of the show manipulate or create, but this person is the one who emerges as the breakaway star of the show, the darling of the audiences. In the New York Housewife series, it was Bethenny Frankel who now not only has her own spin-off show from Bravo, but an entire line of Skinny Girl Margarita products, books, and workout videos. 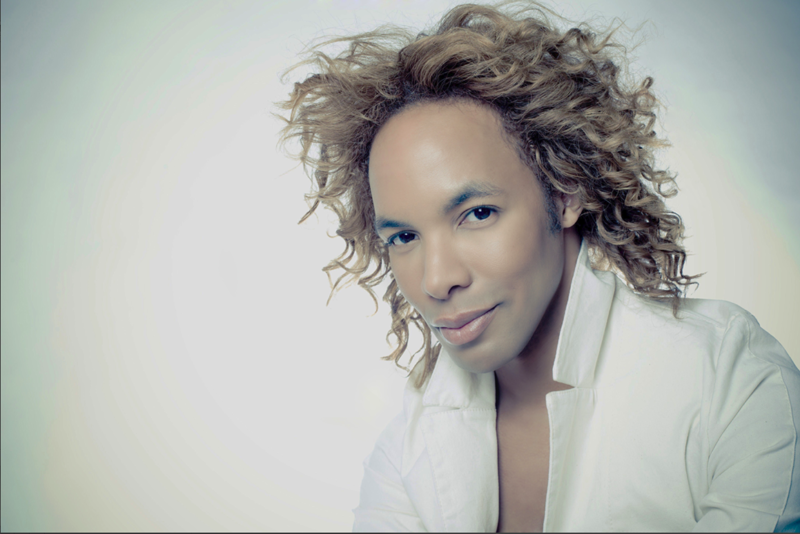 From the DC Housewives, there is no other cast member whose star shines as bright as Paul Wharton’s. He is undoubtedly the breakout star of the Real Housewives of DC, and already has his own TV show, book, and skincare line in the works, as well as the relaunch of his website so that the makeovers Paul does on TV are more accessible to women in their homes. When you’re a gay kid, your first instinct is to hide that realization. You find yourself running from people, places, things and trying to be invisible. In the light of the recent gay teenage suicides in the news, it’s time to come out of the closet on intolerance and bigotry. I’m concerned that we’re not evolving in our society as we should. We all have the responsibility to set an example for our kids. If we teach them intolerance and bigotry, they will end up hating others and themselves. Who knows what the future of the Real Housewives of DC holds? One thing is for sure- Paul Wharton is the Housewife to pay attention to. Watch what happens? I think so, Bravo. *This post of mine was also published on The Huffington Post and The Washington Examiner. Reality tv is my guilty pleasure as well. The more we get to know each other, Anushay, the more we find we have in common. We even share a birthday for goodness sake. Could that be why we clicked so well? No, it’s because you come across as very sincere as well, and fun to be with. Haven’t watched DC Housewives. Briefly watched NJ. Very little as far as redeeming qualities in any of them. Kind of liked Caroline’s feistiness. I’m more into Project Runway (used to be on Bravo), Top Chef, Work of Art: The Next Great Artist, The Apprentice, Undercover Boss, American Idol and So You Think You Can Dance. Just programmed in DC Wives for tomorrow night on your recommendation. Can’t wait to “meet” Paul. Sounds like he’s my kinda guy. Hi sis. Forgot about Rachel Zoe. Do you love how shallow she is? But very determined and hard working. Did you hear that Brad is going it alone? He won’t be on next season. I’m glad for him. He’s a wonderful stylist. He was my favorite on the show though. Maybe he’ll get a spin-off. “Just Desserts” is okay. If Seth leaves, I’ll probably lose interest, although I love Yizit (?). I’ll be watching “DC” tonight. Can’t wait to see your neighbor and dinner companion, Paul. Looking forward to it.